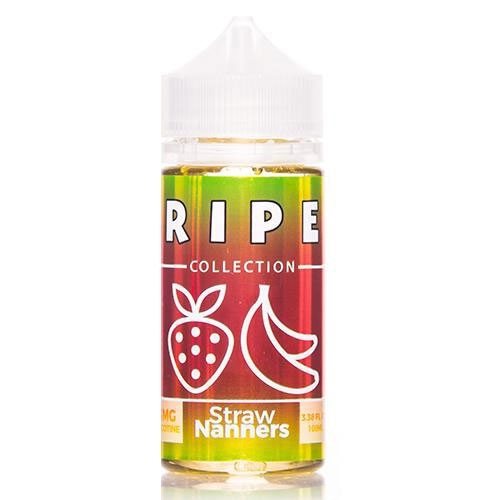 Ripe Collection Straw Nanners by Vape 100 is a delicious blend of fresh ripe Strawberries with sweet and smooth Banana that will delight your palate with authentic fresh fruit goodness. Bright Strawberry notes are paired with delectable Banana to create a perfectly balanced fruit vape with an elegant finish that is sure to please. Try this delectable gourmet premium E-Liquid today! Honestly, every time I order I buy one of these. My favorite juice!